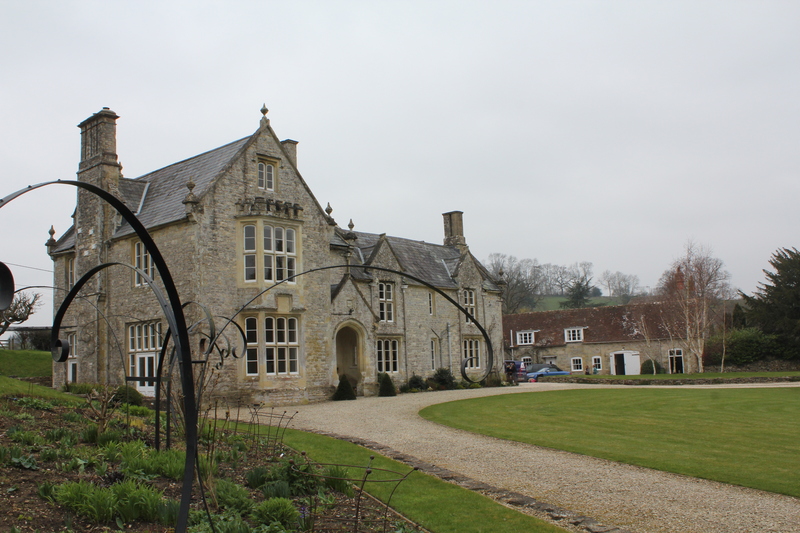 When the owner of a former listed rectory dating back to around 1600 in a small village outside Salisbury, Wiltshire, came to replace the property’s fifty year old boiler and gravity fed heating system, he naturally had high expectations. The project needed to significantly reduced running costs (the old system consumed 2,000 litres of oil per month), provide a constant space heat temperature and enable the heating, hot water and secondary hot water circuits to be controlled independently and remotely. 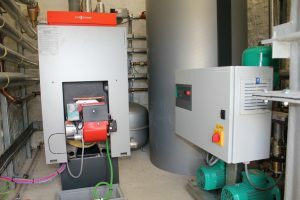 Salisbury-based Viessmann partner, AHS Ltd., specified a Viessmann Vitorondens oil-fired boiler, with weather compensation and Vitotrol 300A remote controls. The result is a modern, fuel efficient heating system which is saving £8,000 per year, or around 70 per cent of his previous expenditure on oil. 3 x Header Divcon Units with mixers. Vitocom 100 with Virotrol App. Vitotrol 300A remote control (3 heating circuits). Wilo Comfort COR-2 pressure booster set. 2 x large expansion vessels. Viessmann Vitorondens oil-fired boiler, with weather compensation and Vitotrol 300A remote controls. 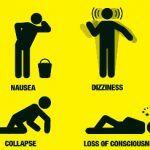 The new heating system comprises three fully weather compensated heating circuits and one constant temperature circuit for under-floor heating. With oil bills of almost £13,000 per year at the 6,660 sq. ft., six bedroom, four bathroom home, fuel efficiency was a major priority. The Viessmann system – attractive because of its product build quality, system performance and user- friendly controls – was also the only one to come with weather compensation controls. These would fully optimise the Vitorondens 200’s efficiency and improve internal comfort, regardless of external temperature. 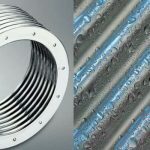 The installed system provides three fully weather compensated heating circuits and one constant temperature circuit for under-floor heating. 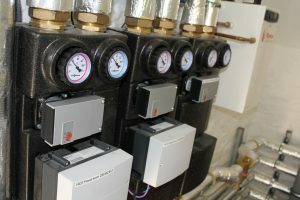 One cylinder loading circuit with controls operates the heating and hot water and also the secondary hot water circuits. A welcome benefit of the advanced Vitotrol 300A controls is that AHS can monitor the system remotely on behalf of its client. 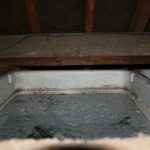 Noise was also a key consideration as the boiler’s flue would terminate above an outside seating area. The Vitorondens outperformed its competitors on noise levels. AHS was called in as one of the few companies who could take on the complexities of the equipment and the task of designing, specifying and constructing a new, 9 ft by 6 ft plant room, in an outbuilding next to the main house. Tight for space and access, there was a lot of kit to install and most of it had to be dismantled and built inside the room. Thanks to the swift work of AHS, the crossover to the new plant room was achieved in just two days. 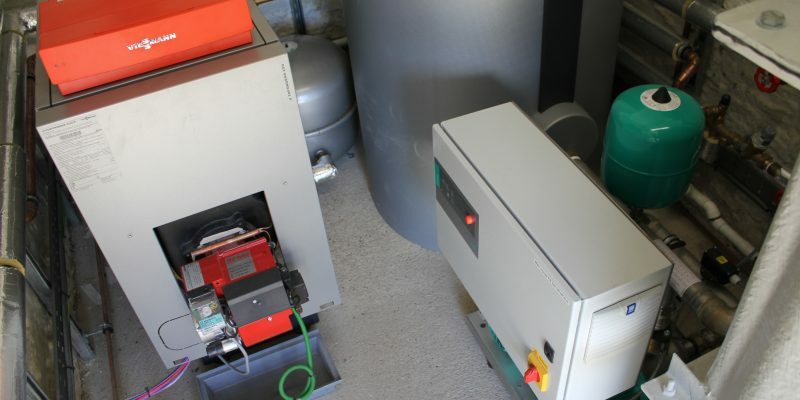 In a property with no particular thermal efficiency, the installation of a highly efficient oil boiler and the very latest in temperature curve control programming has achieved a massive shift in performance. Written by ‘The Girl in the Office’. 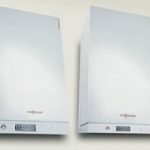 The New Viessmann Vitoden Boilers are here!